The green color in all variety of its tinctures is familiar to the human`s eye, as it prevails in nature. This is the external reason and the science-based fact, which explains the people`s desire to dip into the natural color even at a closed space. 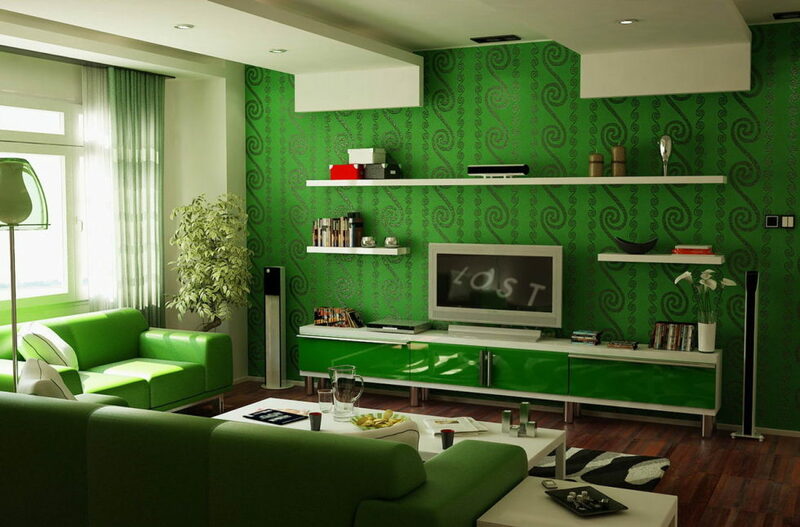 Therefore, designers have developed many variants of combination of green with various colors. 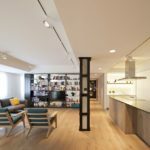 In this article you will find the advises of professionals of how to achieve the color balance in the interior, which has a good influence on the mood and health of a person. We have earlier described the combination of green with other colors in the interior; now we would like to update this topic with the current information. How to apply green in the interior? 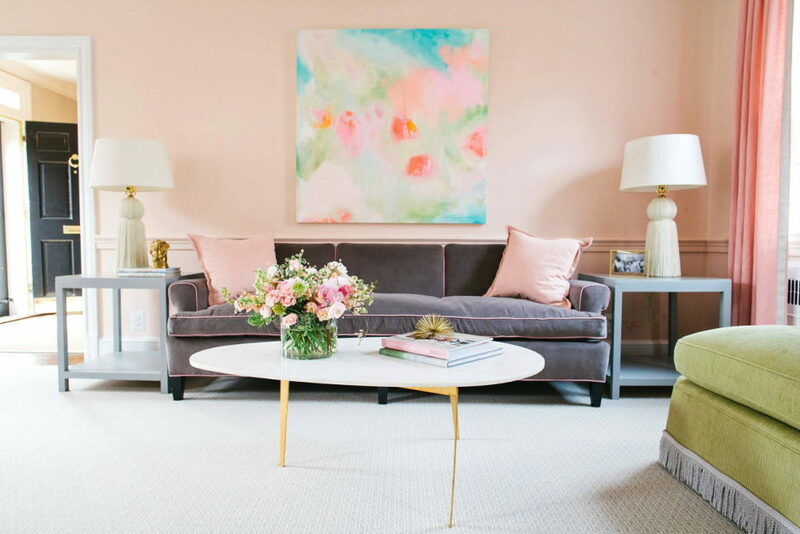 Everyone can master secrets of the right color selection for the decor. There are main rules, which one should follow to in order to create the premise`s design. You should bear in mind that green is a cold tincture; if it has no elements painted in warm tones, it would not create the desired effect of the coziness and comfort. The frontmost combination of the cold and warm tones is the yellow-green color in the interior; it is a classic harmony of the spring nature and warm sunny light. 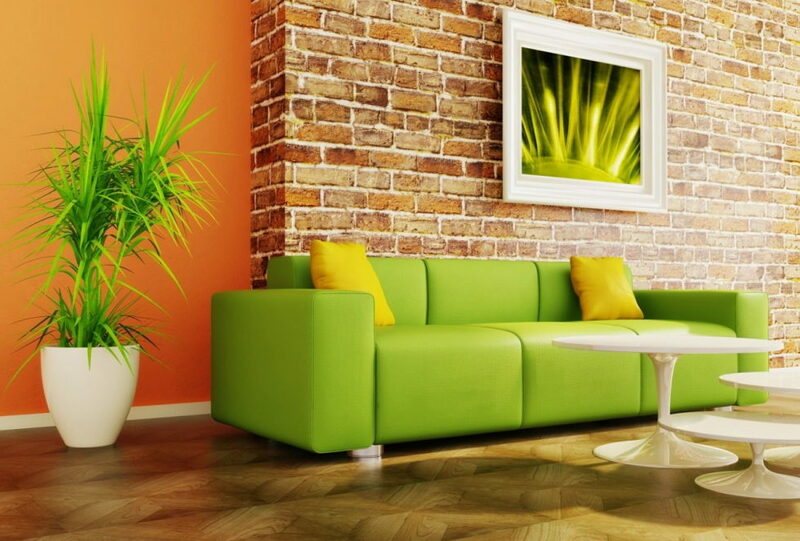 Psychologists agree that the right combination of the green color in the interior assists to keep the quietism, to feel protected and self-confident. The moderate green color does not suit everyone. An eccentric and too active person needs other color solutions. Bright green tones awakening the energy would be a better solution in such a case. One of the most important factors is interior`s influence on health. 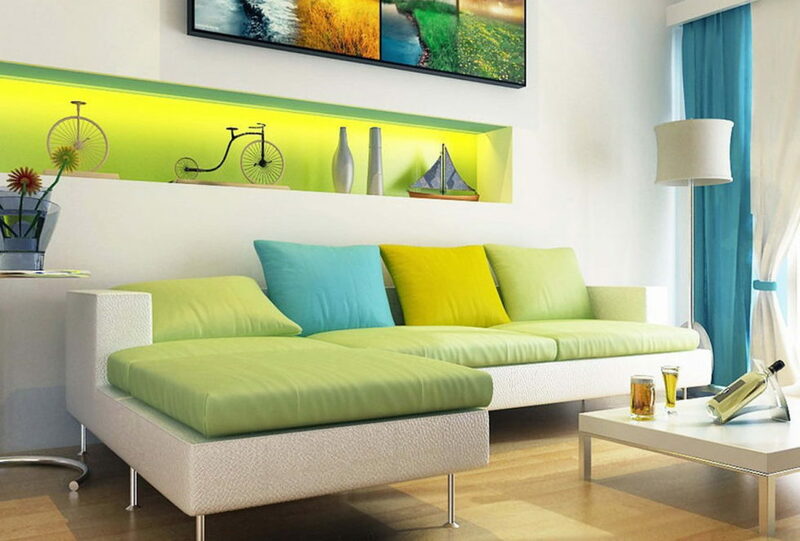 By creating the green design in the room a person may reach psychological balance and relax. In other words, this is the color of relaxation. Professionals suggest to take into account stylistic peculiarities of the decoration. For example, classic interior requires selection of deeper tones; pastel tinctures would be appropriate for modern interiors. The hi-tech ones would look good with the blurry combination (i. e. the one without abrupt junctions) of green with other colors. It is important to remember, that green color has the property to enlarge the space, and therefore it is appropriate for smaller rooms. This especially concerns light tinctures; for example, light-green window drapes with bluish play create the feeling of transition from the premises to the surrounding nature. Which colors would be better to combine the green with? 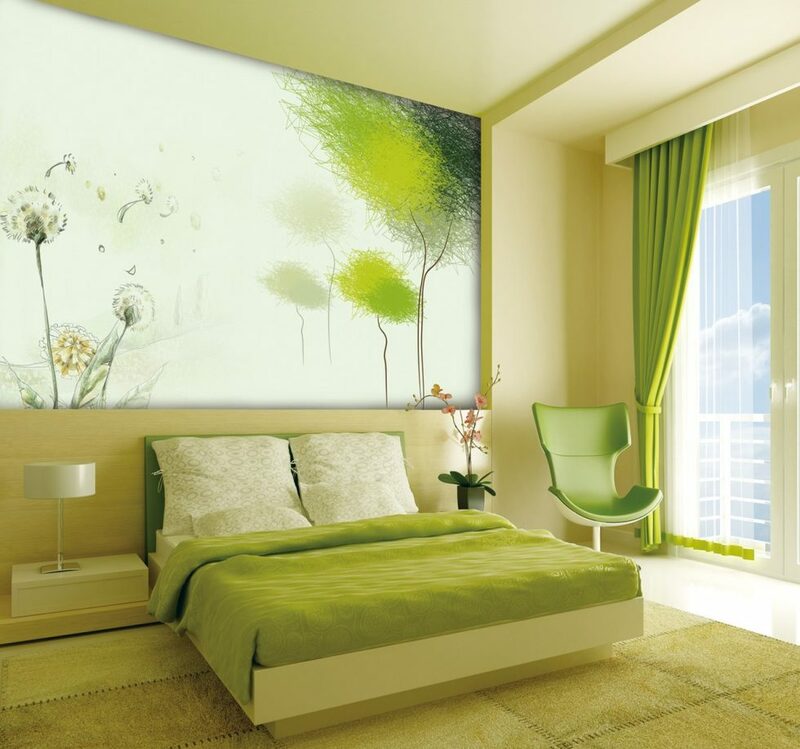 Designers consider the green color to be flexible; it could be beautifully entwined into the decoration of the ceiling and wall coverages or used in textile elements, furniture foresides, decor items etc. However, the main its advantage is compatibility with almost all color range. Your main task is to create a harmony of tinctures, which will add style to the interior and provide comfort living in the room. The white color in balanced combination with the green one creates the feeling of airiness and lightness. 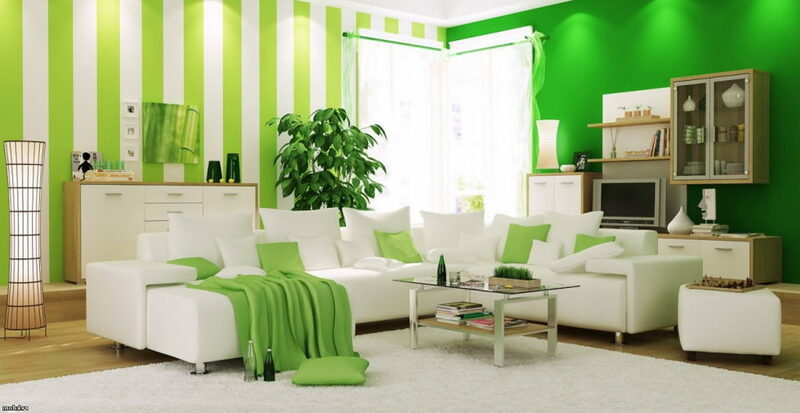 The palette of the light greenery is appropriate for any room: a living room, children`s room, kitchen or bathroom. The white-color in the interior of a small room allows to visually enlarge it and to create presence of air and freedom at the big hall. There is one secret to know for those preferring the bright green: to use the balancing factor, namely plenty of white elements. 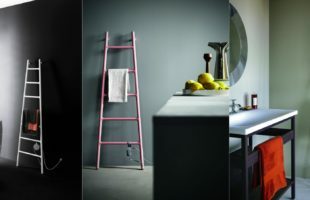 Combinations of white walls with green furniture at a kitchen or snow-white shelves with nice white utensils on the background of bright green walls are the examples of such approach. 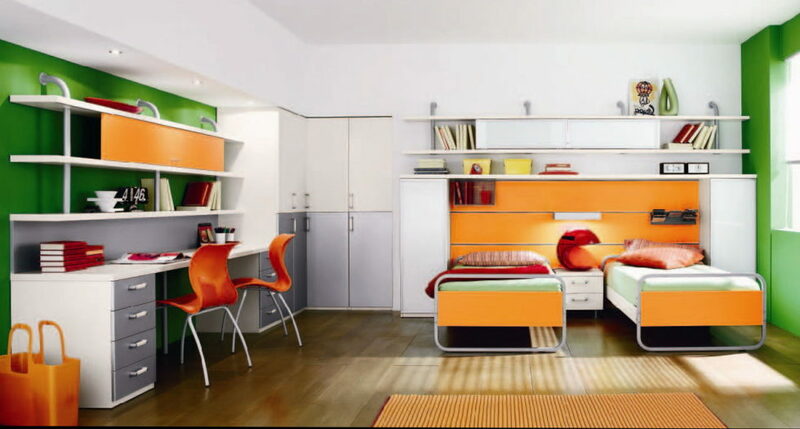 The same principle may be used in decoration of a children`s room. This color is associated with young greenery, spring nature and tenderness. It generates light mood; all stressful thoughts disappear and calm arrives in such a room. 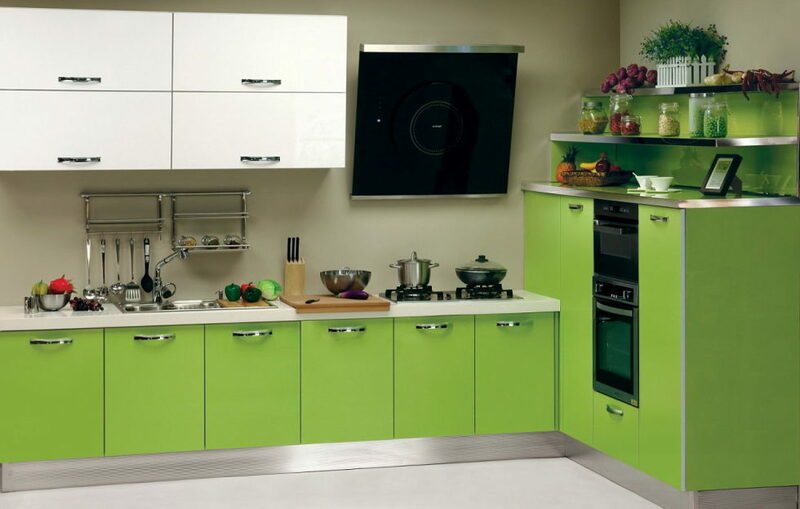 That is the reason why the light-green color in the interior is appropriate for a kitchen, living room, children`s room and bedroom. Various nuances of tinctures could be created with the help of light-green wall-papers and sandy green enclosure ceilings with cyan textile. This palette conduce relaxation and serenity, it eases and recuperates. Combination of red and green is rarely applied by the designers. This is stipulated by the aggressive nature of such a range. 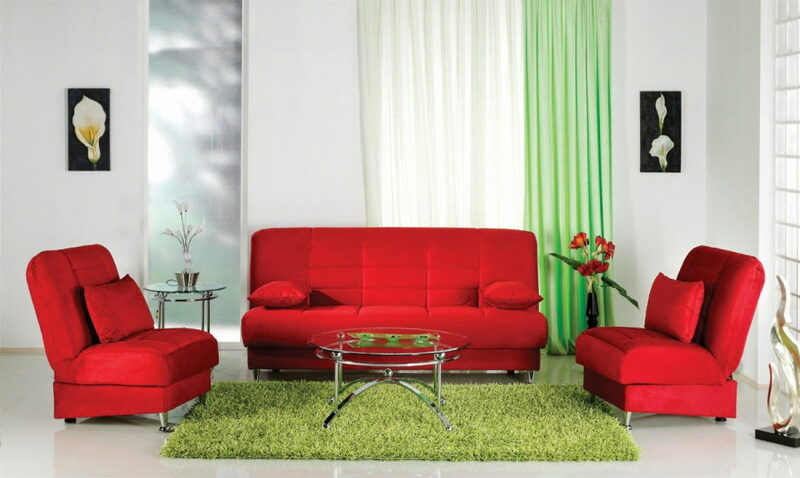 The red and green color could be used in the interior, but the tones should be diluted. For example, for the classic style it is natural to combine the dark green walls together with wine-colored heavy drapes on windows and doors. 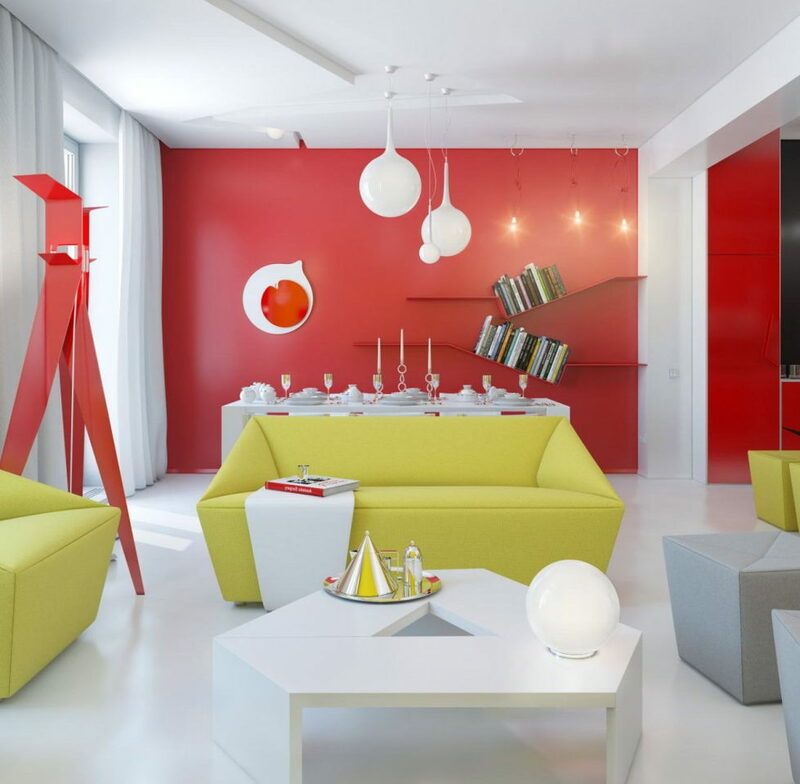 Brighter colors are possible at decoration of rooms in eclecticism, where the sharp contrast of a color palette is the main artistical device. Light-red and green-red elements are typical for the country style and interiors decorated in accordance with ethnical motives. For example, fabric carpets, patchwork pillow-cases, knitted panel pictures and so on. Combination of green with brown is common and balanced for classic and modern style. The natural alliance of bark and foliage is perceived by the human`s eye as natural, therefore it is often used at the interior`s decoration. Brown wooden furniture, textile, picture frames, tiles on a chimney and curtains look perfect on the background of green walls. The interior in the brown and green colors is especially popular for a living room and bedroom in the classic style and kitchen in modern style. In the former case the preference is given to deep tones, in the latter case it is better to choose the lighter palette. Blue tinctures perfectly comply with the green color and are as natural as the water with a green water-side. 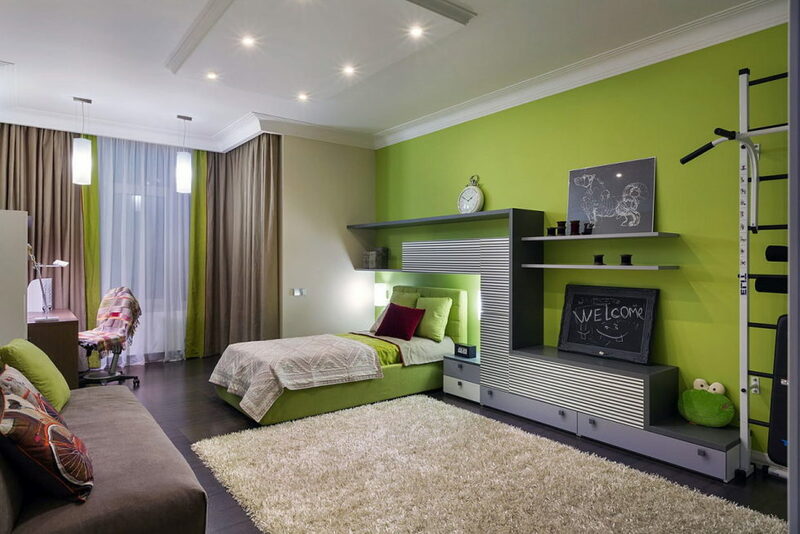 Modern designers use blue and green in the interior for decoration of children`s rooms, bathrooms and kitchen. These colors are related and therefore they are compatible without any reservations. 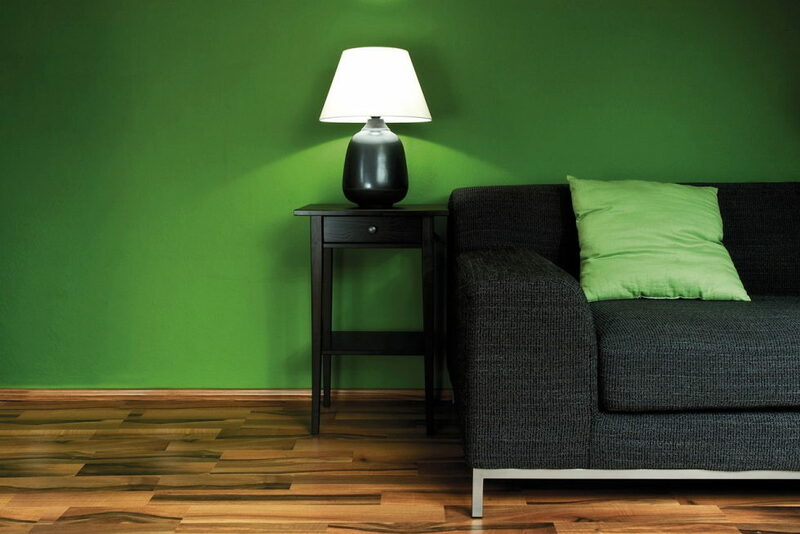 Any item or surface in the room could be green or blue with various saturation of the color. For example, blue furniture or a bathroom looks good on the back of green walls, despite the strangeness of composition. The light-blue and green palette refers to the airy color combinations. The interior in the green and light-blue colors is regarded to be the most spread and is applied for decoration of any rooms in a house or a flat. Such popularity is stipulated by the natural harmony of such combination, which does not provoke rejection in the majority of people. 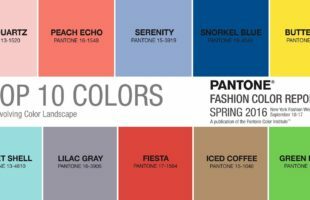 Furniture, wall-papers, paints and ceiling coverings are made in these colors. This is a delicate and exquisite combination, which makes the premises spacious, cozy and sophisticated. Light-blue and green curtains on the windows, utensil on the shelves, textile implements in a bedroom always look good to the eye and create a positive atmosphere. The palette`s advantage is that it doesn`t bother as the years go by. Decoration of the room in combination of grey and green tinctures is original and elegant. On the surface this dim design looks simple, and this is considered by professionals as elegance and style. The green and grey colors in the interior are especially relevant for office premises, business centers, cabinets and houses as well. 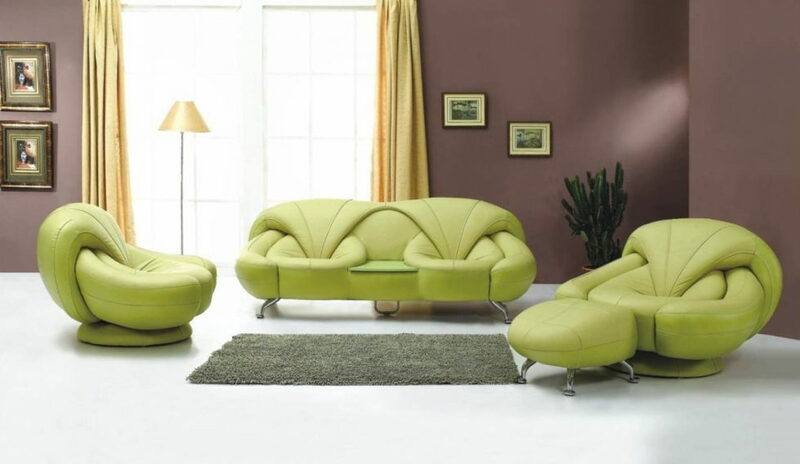 The popular palette is the combination of diluted green walls with grey leather sofas, curtains and blotchiness in tune with the furniture and walls. Such interiors may be appropriate for a living room, kitchen and lobby room. 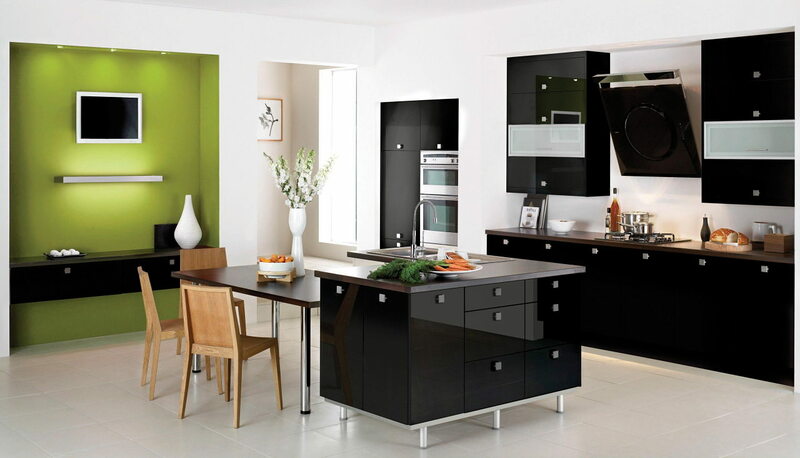 There is an opinion that dark-green tones influence negatively on the people`s mood. This is incorrect. Just look at the photos of rooms, where the dark-green color is represented in massy window drapes, deep and saturated upholstery of the soft furniture or walls of deep green color with ornament in floral style, lamp shades of the green textile with trimming of golden inkle. You would love to have the same decoration! This color range suits a bedroom and living room; it makes them look luxurious and exclusive and this is highly valued in the world of art. The combination of rose and green tones is a tasty harmony of summer, so called fruit bouquet. It allows to create cheerful and jolly mood and brings in a positive atmosphere. The rose and green colors in the interior may be created via bottled wall painting and soft furniture`s upholstery with rose-green tinctures. Curtains with flowers and tabletops of the rose stone would be good supplements here. Such multicolored palette is deemed appropriate for a bedroom, kitchen, living room and children`s room; it is also appropriate for classics and ethnic style. 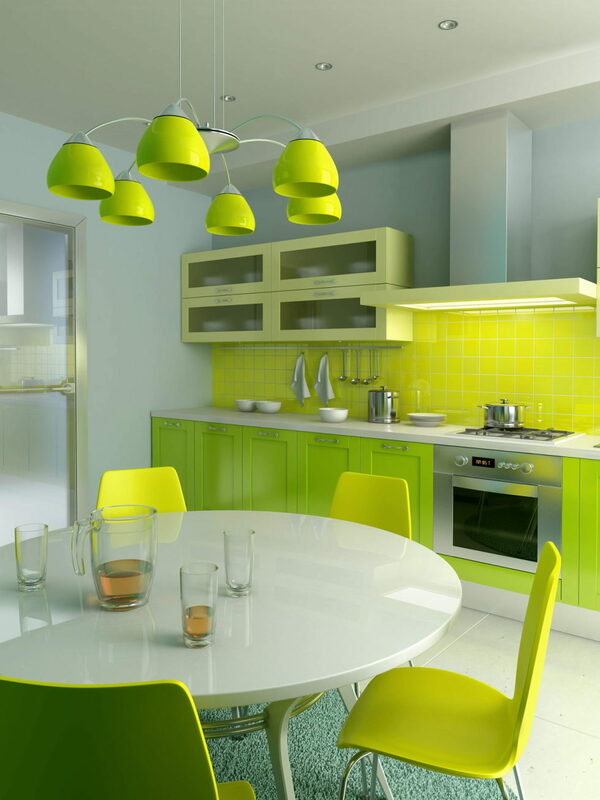 You should use yellow on the background of green only piecemeal, as bright spots for decoration. In such a case do not use too many yellow and bright spots to emphasize. They aimed at enliven the room`s space, yet should not clog the general background. The combination of yellow and green in the interior is compared to the painting of wood and the sun. The flecks of sunlight may be placed on a kitchen`s wall in the form of decorative tiles; they could also be presented in a form of bright lamp shade on the stand in a bedroom or living room, as well as the sofa pillows in a living room. If you use tinctures of yellow as a background (wall painting), then you need to apply many green elements, namely curtains, a carpet, soft furniture`s upholstery, etc. 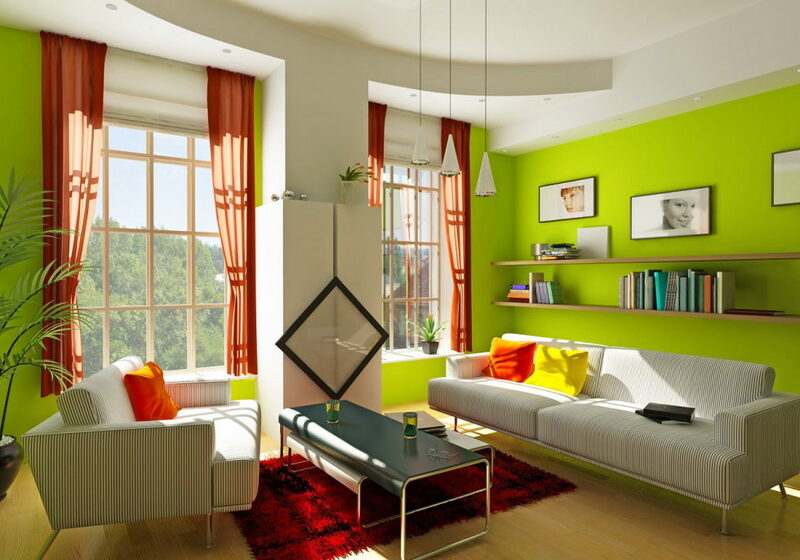 Designers use the same principles while decorating the interior in green and orange colors. 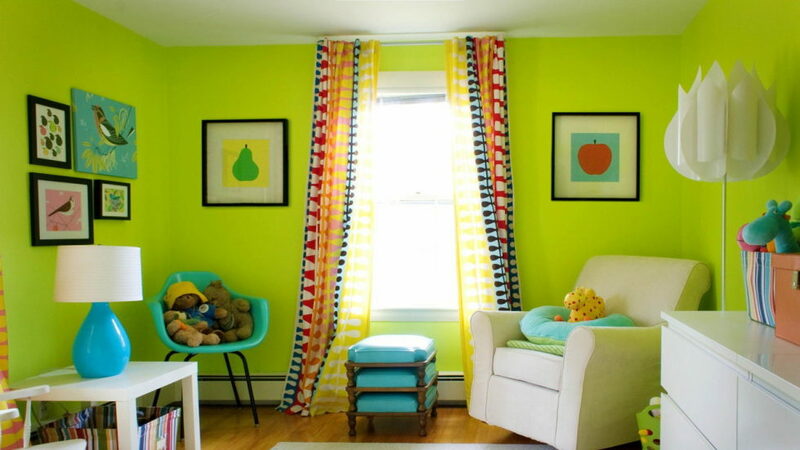 There is only one rule here – not to go overboard with bright sunny spots.